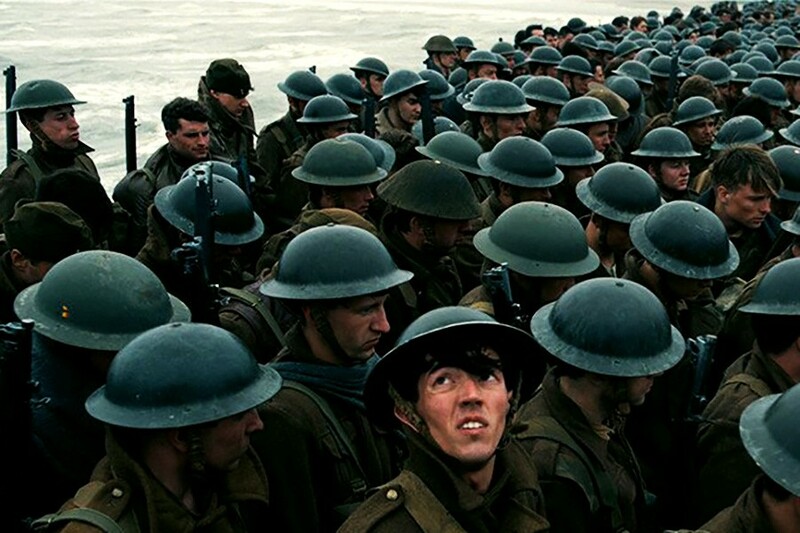 The latest film from Christopher Nolan, the blockbuster auteur beloved of male cinephiles the world over, comes out Friday, and some Nolan fanboys are worried women won’t know how to watch it correctly. 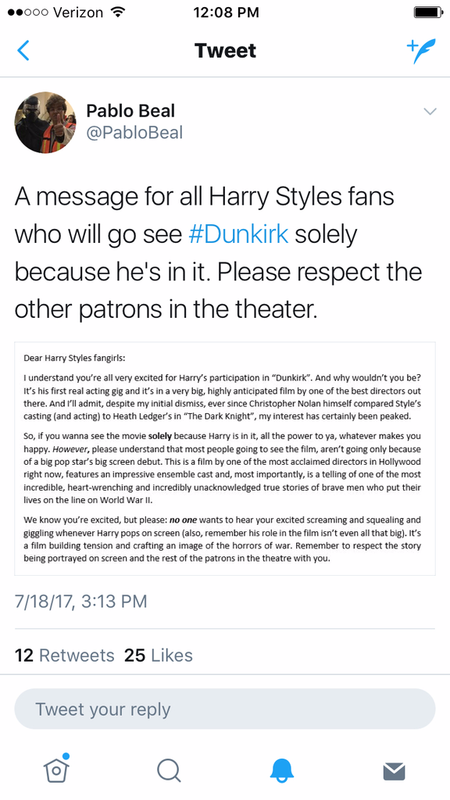 Dunkirk features former One Direction star Harry Styles in his first dramatic role, and the worry is that Styles will attract hordes of hysterical fangirls who have no respect for Serious Cinema and will ruin the movie-going experience with their unfettered shrieking. Mr. Beal has been getting summarily dunked on since delivering his instructions, not just for sounding like an insufferable, patronizing assbag, but for implying that women don’t know how to act in a movie theater. No person who spells “piqued” as “peaked” should really be condescending to anyone. The fears seem largely unfounded. Styles isn’t even among the top-billed actors in the film, and it’s heavily implied in the trailer that he dies within minutes of the opening credits. Either way, Beal’s instructions require a belief that there’s only one permissible way to enjoy a war movie—and that admiring a popular singer necessarily precludes any understanding of history, culture or basic movie theater etiquette. Will Styles’ fans come out in droves to see his big-screen debut? Almost certainly. Does that mean they’ll ruin a 100-minute war epic in which he plays a minor role? No. Most women (even young women!) have seen a movie or two before, and they’re unlikely to start rioting in the theater simply because their idol shows his face onscreen. At least, we hope they won’t. We men need this film. Most of us haven’t had a good cry since the last time we saw the “It’s not your fault” scene in Good Will Hunting, and a film about a bunch of soldiers dying in World War II seems like our best bet. And if one of those dying soldiers is Styles, then Nolan fanboys and Styles fangirls will finally have something to bond over.